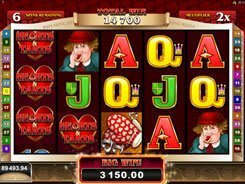 This 5-reel 30-payline slot is part of the Rhyming Reels series of slots created by Microgaming, and this particular game is inspired by an old humorous poem called Hearts and Tarts. The symbols set incorporates playing cards from Ten through Ace, as well as the Queen of Hearts, tarts, servant girls, and other thematic symbols. Before any spin you can configure a coin size ($0.01–$0.05), the number of coins per line (up to 10), and the number of win lines to place a wager on. Therefore, your bet can be made anywhere between one penny and $15 per spin. 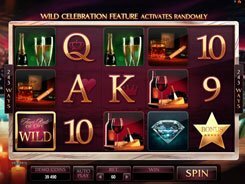 The slot features a wild symbol, a scatter and free spins. A scatter unlocks 10 free spins at a x2 multiplier if 3+ scatters appear on the reels. 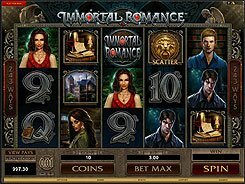 During the free spins you can win over 2 million coins if you are lucky enough. 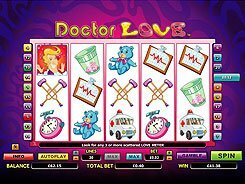 Besides, hitting five scatters in any spot pays out the slot’s jackpot of $3000. A wild symbol that substitutes for other non-feature icons produces the second-largest prize of $2000 if five occur on a payline.